Marie Finamore is the Director of Sports Medicine at East Valley CrossFit and the founder and sole proprietor of Have Thumbs, Will Travel®, a Scottsdale based wellness private practice. In her decades of experience, Marie has become an internationally renowned athletic trainer, and has worked with a wide range of athletes. She is a 3 x USA Wrestling Olympic Freestyle Team Trainer and massage therapist. 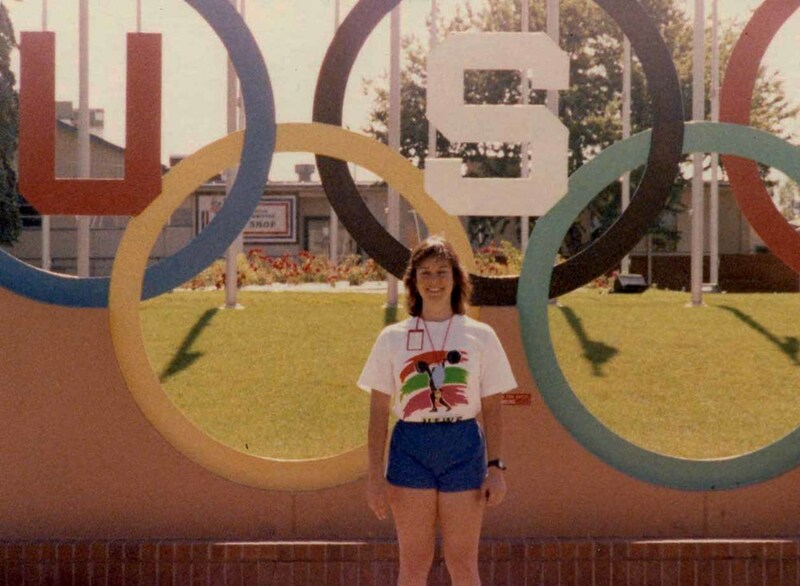 She spent six years on the USA Weightlifting Federation Sports Medicine Team, and was the Athletic Trainer for the Sunkist Kids Wrestling Club for ten years. Marie has also worked internationally with the US Gymnastics Federation, and spent six years in NCAA Division 1 college training and weight rooms (at the University of Minnesota and Arizona State University). She is a nationally certified Athletic Trainer (NATA) and Strength & Conditioning coach (NSCA), and licensed by the state of Arizona as an Athletic Trainer and as a Massage Therapist. In terms of her own athletic history, Marie has a background in dance—some ballet, mostly jazz. In high school, she participated in a lot of intramurals, especially gymnastics. She played club ice hockey in college, and was both a swimmer and a runner. Later, she discovered powerlifting and holds a 310lb deadlift PR. She is always still experimenting with new forms of movement. Can you tell us a little bit about your work as an athletic trainer? Technically, a certified athletic trainer is “a specialist in prevention, emergency care, and rehabilitation of athletic injuries.” In reality, it is the greatest career for people who hate routine; every day is different! If you think of elite athletes as high-performance racecars, I am the mechanic and pit crew. I specialize in maintenance, fine-tuning and repair 😀 I do a lot of different things depending on the athlete that I‘m working with and the situation. In the CrossFit setting, I mostly evaluate the pain/performance issues of athletes. If it’s a problem that can be handled “in house,” I treat with a variety of bodywork, herbal, and mobilization techniques, and corrective exercise. I tweak skill techniques that may be contributing to the problem, and recommend things the athlete can do to accelerate recovery and prevent recurrence—such as heat, cold, mobility, yoga, stretching, and so on. My background in Biomechanics and experience doing sports and working with the world’s best athletes and coaches definitely helped with this. What is “Have Thumbs, Will Travel”? Have Thumbs, Will Travel!® is my private wellness practice. Mostly I do therapeutic bodywork, complementary therapies, cranio-sacral therapy, and therapeutic exercise. My primary interest has always been in preventing injuries/illness and keeping people away from doctors as much as possible. Athletic Training, for a long time, was the closest thing around to what we now call “wellness”— very nuts and bolts, non-druggy, ways of preventing and treating problems, including conditioning, nutrition, sociology, and psychology. In 1988, the Olympic Freestyle Wrestling team needed an Athletic Trainer, but they wanted a massage therapist. I could do both, hence my motto became, “Have Thumbs, Will Travel!”® I became self-employed as a way of supporting my volunteer habit with SunKist Kids Wrestling Club, USA Wrestling, USWF, and USGF. I see that you offer different types of evaluations—what do these entail, what are you looking for, and how does it guide future treatment? Great question, Jo! A standard orthopedic evaluation for injury involves history, inspection, manipulation, and functional tests to determine what is injured and how badly. Then a plan of care, and/or referral to a more advanced professional is implemented. Afunctional movement screen (http://www.functionalmovement.com/ ) is a standardized test that can identify dysfunctional movement patterns that may lead to injuries later, even in a healthy athlete. Any problems can be fixed with corrective exercise and bodywork. In elite team settings, this has been PROVEN to reduce injuries up to 35% in a given season. I also do cranio-sacral evaluation, which is a fascial scan that often identifies restrictions that may not show up in the other tests. Cranio-sacral therapy is easy to combine with the other work, and addresses a completely different level of the nervous system. So, I try to cover every angle! I’ve known a lot of CrossFit athletes in particular with chronic, unexplained joint pain—particularly in the elbows and the knees. Do you see these problems often, and how would you advise a client who came in with these complaints? Yes, I see these often… and they are often easy to relieve! I applaud CrossFit’s encouragement of self-care in the mobility department, but it is extremely limited. (I will be writing a full article about this soon for you). Trigger points, fascial restrictions, dysfunctional movement patterns, poor technique, dehydration, and insufficient recovery time all contribute to these problems. I also find that CrossFit athletes are often weak in the lower core and lower traps. The optimal solution is evaluation, treatment, and instruction by a knowledgeable professional. If the person can’t hang with that, better hydration, stretching POST-workouts, and more recovery time can make a significant difference. To really perform optimally, body and mobility work by an experienced professional is a must. People who’ve never had it done are always amazed what a difference it makes! How often does an athlete need to have bodywork done (massage, myofascial release, etc.) in order to experience its benefits? In an ideal world, such as Olympic Training Centers, athletes get rubbed down at least once/day on days they work out. This speeds recovery, prevents adhesions due to inflammation from forming, and allows heavier routine training. Here in the States, where most athletes have to work and pay for their treatments, they need to balance time and expense. Once a week is great during intense training periods. Every other week works well for many, but even once/month is helpful. If you get work less frequently, the results just won’t be as profound. Recovery and self-maintenance are the most neglected areas for most working athletes… but they are essential for getting the fastest results from your training. Similarly, how much time should athletes commit to mobility work? Well, bodywork definitely counts as mobility work! But, efficiently programmed self-care mobility work and stretching should be done for AT LEAST 5-10 minutes after every workout … ideally active rest and rest days should include about an hour of mobility self-care once/week, at a minimum. For a lot of athletes that I know, experiencing an injury feels like a death sentence. Do you have recommendations for injury prevention? Preventing injuries is one of my passions! Get a great baseline eval done, including some movement screening. Do some “remedial” conditioning if you need to, to be able to learn and master all skill techniques before increasing intensity/load/volume. Warm up well, cool down after workouts—including some stretching and mobility work, hydrate, get good nutrition, enough rest/sleep. Of course, if a hint of an injury occurs, get it checked out by a qualified professional before it gets out of hand! Okay, so a joke circulating in the CrossFit community is that we often see competitors decked out in athletic tape/Rock Tape as if it’s the newest fashion statement. What is its actual function, and when should it be applied? And so many fun patterns of RockTape available, eh? When applied properly, Kinesio/Rock taping does two things: it sends a subtle signal to the nervous system to encourage more functional movement patterns, and it improves lymphatic flow, thereby speeding healing and reducing swelling. Cool stuff! In some injury situations, a joint may need protective stabilization. In these situations, traditional athletic taping is superior to Kinesio Taping. Each has its purpose. I have definitely experienced physical therapy and manual therapy sessions from which I felt utterly no benefit. What should people look for in finding an effective athletic trainer and/or massage therapist? The number one thing any athlete should look for in healthcare professionals is whether they have an athletic background! An athletic trainer who’s never been athletic, or a physical therapist who’s never been physical, is a menace. Even doctors or chiropractors who only have a book-learning relationship with exercise are a bad bet. Also, is there anything I should be trying to communicate to these professionals about my training as a CrossFitter/weightlifter that would help him or her treat me? 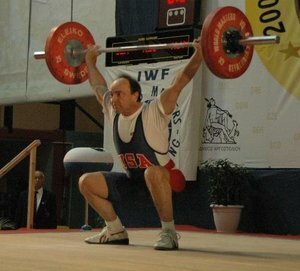 If the person is unfamiliar with CrossFit/Weightlifting, explain that it is high intensity, full body, and explosive. Both challenge the full body through ranges of motion unseen in many other sports. The benefit of having a therapist who’s been there is that no explanation is needed. Keep in mind that a physical therapist is trained to restore you to “activities of daily living”— brushing your teeth, climbing stairs, and such. Elite sport performance is way further up the action spectrum, and requires someone with an athletic, sports medicine, and/or coaching background. Your therapist should also value your input~ if s/he doesn’t, find someone else! Last question—you just returned from working with the East Valley CrossFit team while they competed at the CrossFit Games. How was that experience? Our team met every challenge with talent, grit, tenacity, and heart. We are so proud of them! The Games is very different from the Olympics. As a team trainer, I had no access to the athletes at the competition venue, and, as such, our hotel became HQ for treatments, team meetings, and strategizing. We had a great time, learned a lot, and are already formulating our plan for next year.